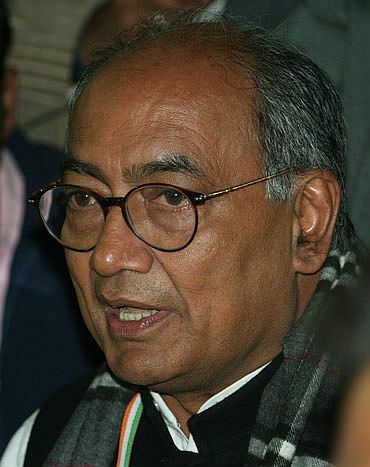 Taking exception to Anna Hazare's praise for Narendra Modi, senior Congress leader Digvijay Singh on Wednesday said the Gujarat Chief Minister had not even appointed a Lokayukta despite being in power for seven years. 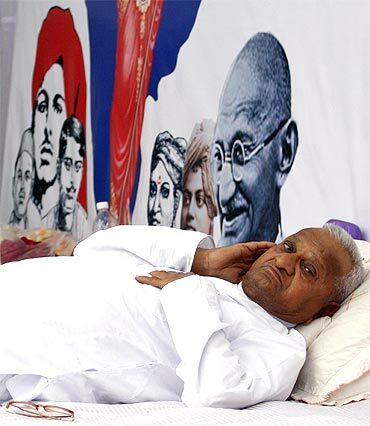 "I respect Anna Hazare a lot for taking up the fight against corruption. But he has praised a chief minister who has been in power for seven years but has not even appointed a Lokayukta to deal with corruption," Singh said. "How can someone praise a chief minister in whose state innocent people were massacred (in the 2002 riots) and fake encounters were staged," he asked while talking to reporters. 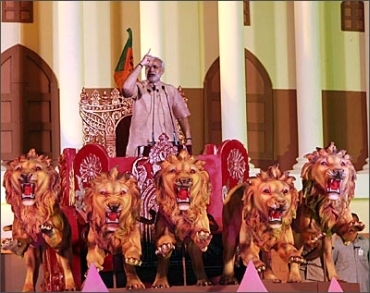 He cited a Supreme Court observation describing Modi as "modern day Nero", comparing him with the Roman emperor, who fiddled while Rome burnt. "The Supreme Court has said that when Gujarat was burning during the riots, Modi was sitting in his house and not doing anything to control the situation, just as Nero was playing the fiddle when Rome was burning," he said. Singh said Hazare's advice to the electorate not to back candidates offering money and wine was in a way an "insult" to the people in a democratic country like India. He said it would be wrong to create an impression that people in India voted those who offered them liquor and cash. Singh said the campaign started by Hazare against corruption has helped Congress deal with the issue as it is the only party serious about bringing an end to the menace. "The Congress has even sent a Union minister and several other officials to jail," he said, without naming former Telecom minister A Raja facing charges in 2G spectrum scam. "Congress was looking for an opportunity to deal with corruption. The party will now take advantage of the atmosphere created after Anna's campaign and initiate effective steps against corruption," he said. Noting that the Bharatiya Janata Party has no moral ground to attack the United Progressive Alliance on corruption, he said, "BJP leader Bangaru Laxman was caught on camera while taking bribe. Did the BJP send him to jail? Many of its leaders were caught taking bribe but the party never took action against them."